From small Ford KAs™ to minibuses and long wheelbase vans, you are able to obtain class IV, V, and VII MOTs from CR MOT Centre Ltd. Located in Tamworth, Staffordshire, our team cater to all types of domestic and commercial vehicles at our MOT centre with extensive experience in all aspects of garage services. MOTs can be done up to 1 month in advance of your due date, with the previous days added to your renewal date, if an earlier time is more convenient for you. The test can be completed on demand or by appointment. You can either bring your vehicle in and sit back and relax while we complete the service, or come back later if this suits you better. Our team will then discuss your options with you if any repairs need to be carried out. Free quotations are available as well as there being no obligation for you to have the repairs carried out by us. Beating any genuine like-for-like quote in Tamworth, we also offer comprehensive servicing to check your vehicle’s current condition. Both of our testing centres are approved by the government-appointed DVSA (Driving and Vehicle Standards Agency). For vehicles aged 3 years and over, an annual MOT is a legal requirement to ensure your car meets the minimum safety standards. For your convenience, we will contact you one month before your MOT is due. This ensures that you do not miss your MOT renewal date and have to find another form of transport. Alongside our handy reminder service, our team also offer convenient delivery and collection solutions if you are at work. If your vehicle is driveable, we are happy to collect it and then deliver it back to you within the Tamworth area. 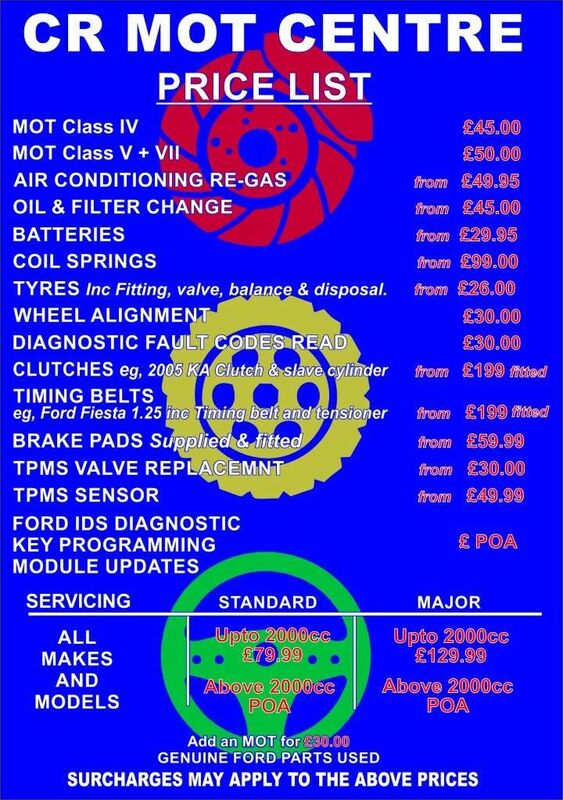 Contact our MOT centre in Tamworth, Staffordshire, for further details about our comprehensive MOTs.